PESHAWAR: The Pakistan Cricket Board (PCB) hosted annual cricket awards at a glittering ceremony at a local hotel in Karachi on Wednesday night. Sarfraz Ahmed, captain of the national team in all formats, was given the Imtiaz Ahmed ‘Spirit of the Cricket’ award along with a cash prize of Rs1 million, while Fakhar Zaman was presented a ‘special award for outstanding performance’ for becoming the player to score the fastest 1000 runs in ODI cricket and the first double century for Pakistan in the same format. He was also given a cash award of Rs2.5 million. 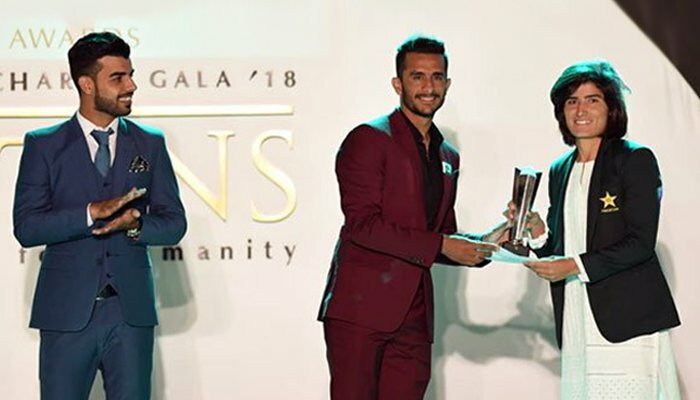 Fast bowlers Mohammad Abbas and Hasan Ali were awarded the best Test player of the year (men) and the best One-Day International player of the year (men), while the award for the best emerging player went to all-rounder Faheem Ashraf. Babar Azam was awarded the Best T20I Player. In women’s cricket, former captain Sana Mir was awarded Best ODI Player, while all-rounder Javeria Khan was awarded the Best T20I Player. Best Curator of the Year Riaz Ahmed (Rawalpindi Stadium) Rs200,000.